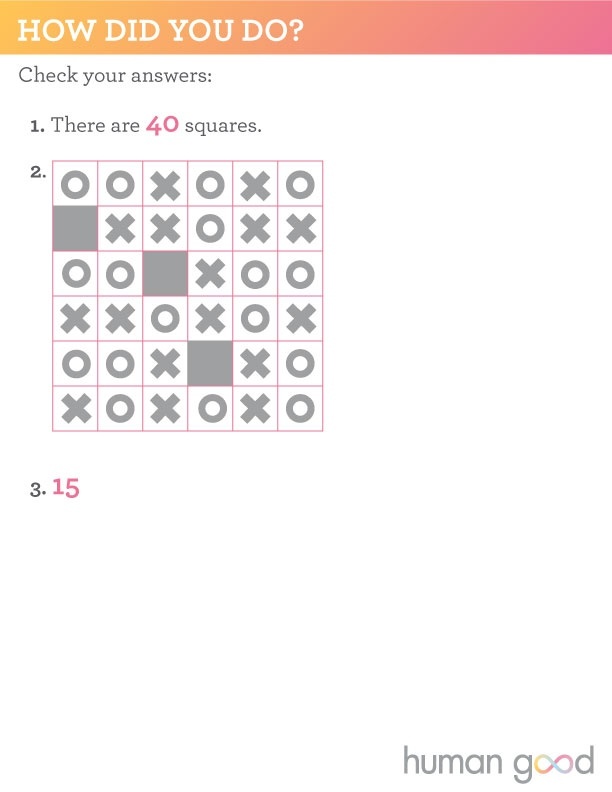 Challenge your brain with three puzzles to stimulate active thinking. Science is divided on the long-term benefits of “brain games” and long-term memory. Brain games are computer-based training programs designed to prevent cognitive decline. But one study, the Advanced Cognitive Training for Independent and Vital Elderly (ACTIVE) trial, suggests cognitive training that encourages problem-solving and learning has a lasting effect on the brain—even 10 years after training ends. In a 2014 study, the 2,832 participants who completed the training had less difficulty performing everyday tasks. While research is not yet conclusive, the Alzheimer’s Association advocates keeping your brain active every day. Try these puzzles to inspire active thinking. Memory care can be the key to getting loved ones the assistance they need—without placing the financial and emotional burden on one caregiver.